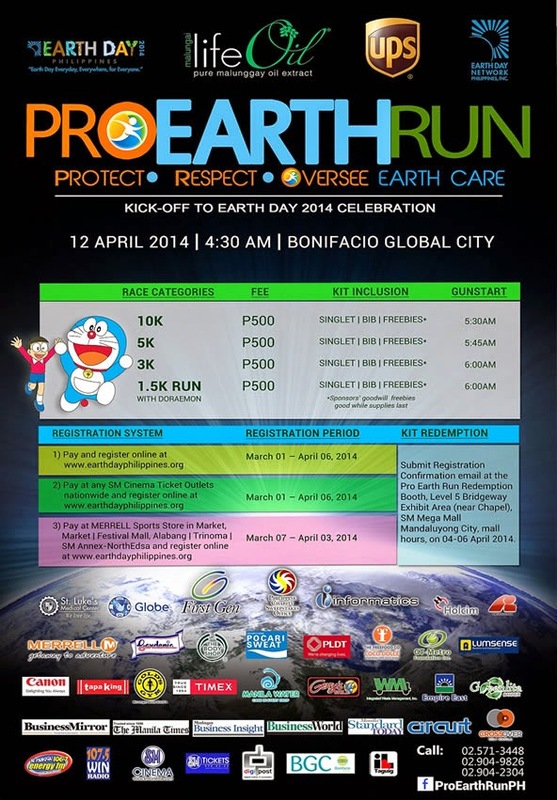 Earth Day Network Philippines stages its first-ever fun run, PRO-EARTH RUN 2014, on April 12, 2014, 4:30AM, at the Bonifacio Global City, Taguig. 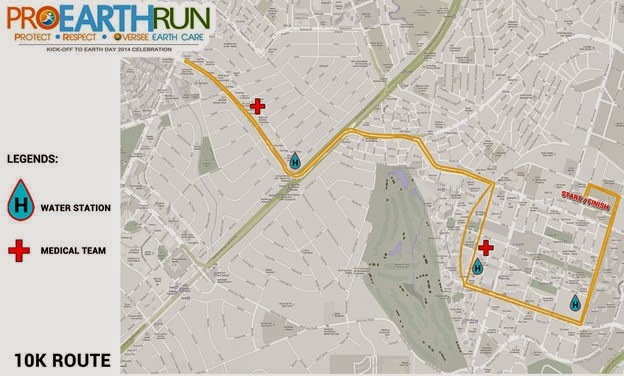 This is an advocacy run to encourage people to Protect, Respect, and Oversee the sensible and sustainable care for Mother Earth. 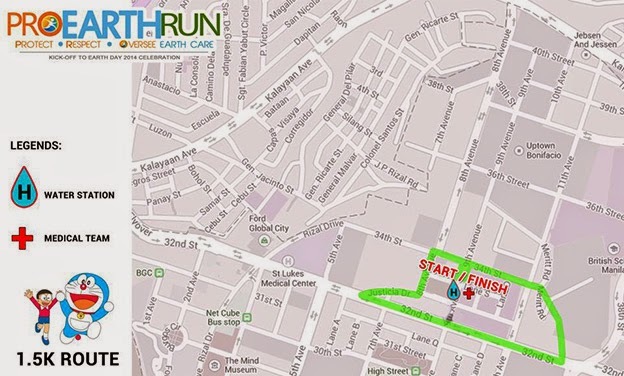 It is presented by Malungai Life Oil - all-natural concentrated vegetable extract developed from pure Malunggay leaves and seeds and UPS - United Parcel Service. 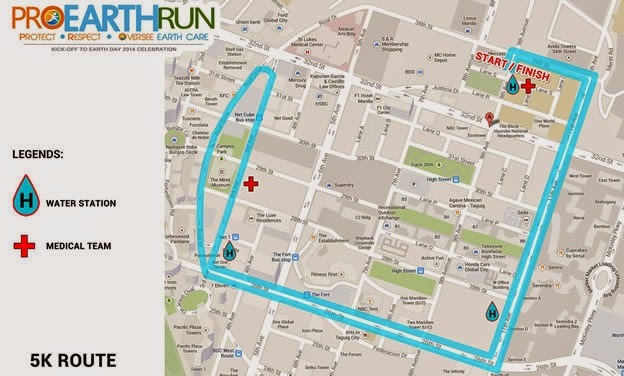 PRO EARTH RUN has 3K, 5K, 10K race category event, with a special 1.5K Run with Doraemon track. 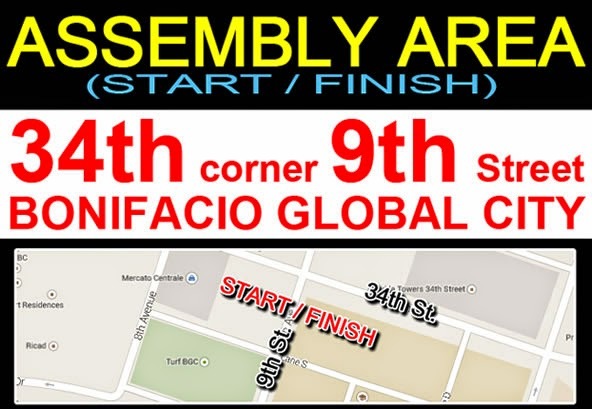 Earth Day Network Philippines is the local counterpart of the global Earth Day Network International. It is a network organization that campaigns for environmental citizenship, spearheading the annual April 22nd Earth Day Celebration by partnering with government agencies, non-government organizations, private corporations, academic institutions, religious groups, and environmental advocates. 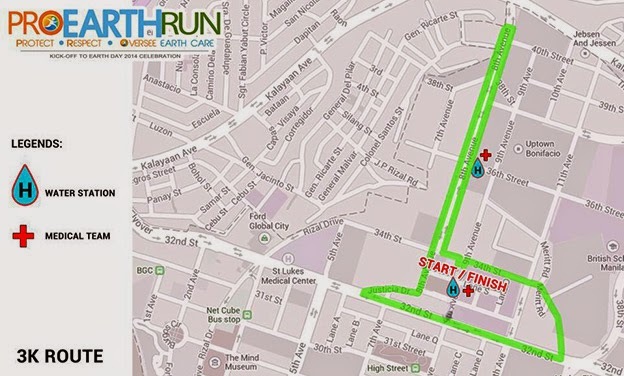 Earth Day Network Philippines is a network organization of different sectors of society campaigning for environmental citizenship. 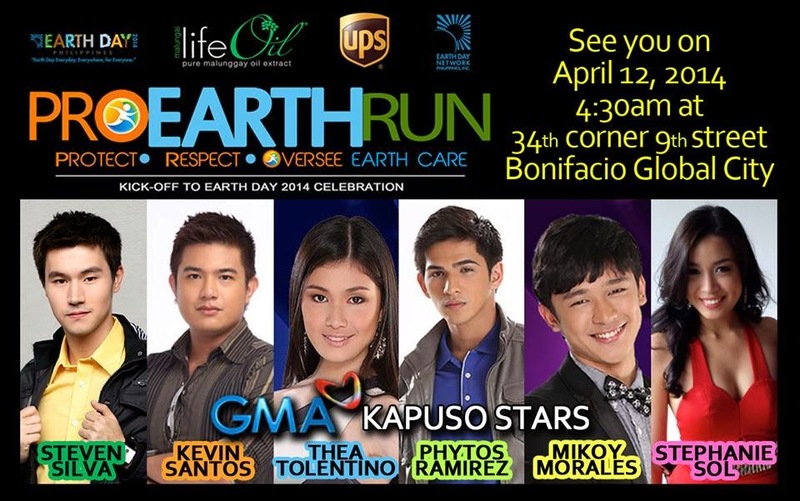 It also invites everyone to celebrate Earth Day being celebrated every April 22. 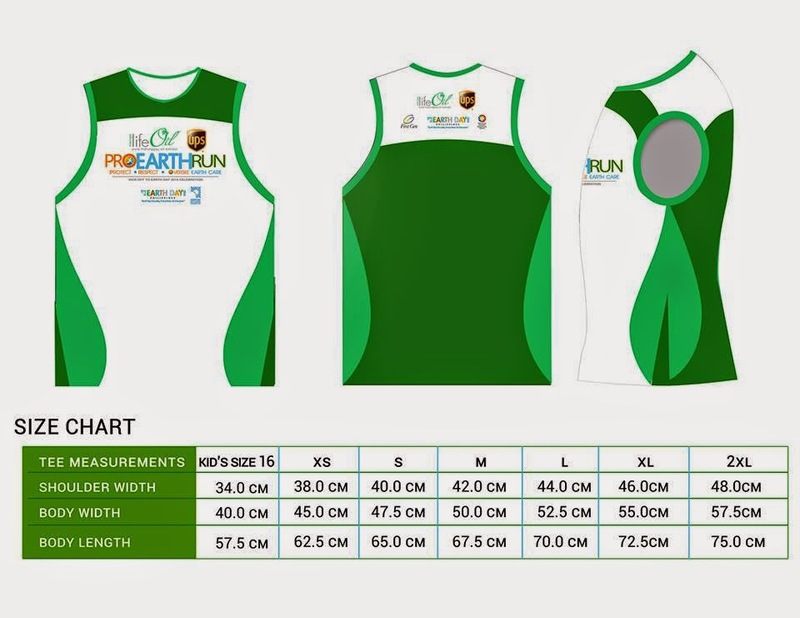 PRO EARTH RUN is also supported by PCSO, First Gen, Merrell, Globe, The Body Shop, Holcim, Free Food Co. Coco Dolce, Business Mirror, Malaya Business Insight, Business World, Manila Times, Circuit Magazine, 106.7 Energy FM, 107.5 Win Radio, SM Tickets, SM Cinema, Digi Post, and Mother Earth advocates and runners.